Western Auto Electrical prides itself on being a One-Stop Automotive Repair Centre for all your Auto Electrical and Auto Servicing needs. Our specialised technicians are knowledgeable and highly experienced, covering all aspects of Auto Electrical, Air-Conditioning, Mechanical Repairs and Vehicle Servicing. Using the latest state-of-the-art diagnostic and car servicing equipment along with quality products, you'll be assured of a professional, courteous and competitively priced service. Buses, Boats, Machinery and Heavy-Equipment. All work covered by a reciprocal Bosch Nationwide Warranty for peace of mind. 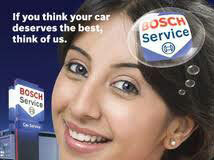 Bosch Car Service dealer for West Auckland. Fully equipped to meet ALL your Vehicle Servicing and Mechanical Repairs . AA, Autosure, Lumley, Protector, Drive Right, Janssen Holdings, Provident Insurance, Custom Fleet, Fleet Lease.